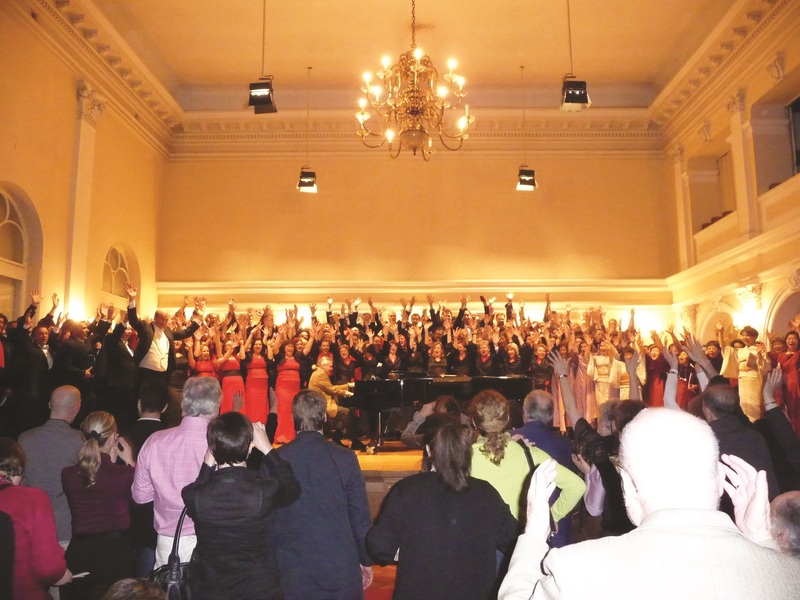 The Croatian Choral Directors Association is a relatively young association, the goals of which are to improve both the profession of choral director and choral singing as a whole in Croatia. Also, our goal is to be a recognizable member of the world choral family, making our contribution to the growth of choral music on a global scale, in accordance with our abilities and our professional and artistic capacity. 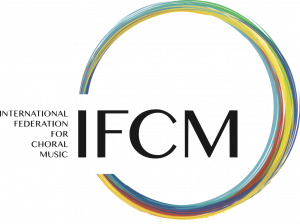 In this spirit we first launched the project called IPDCM-International Project for The Development of Choral Music. The project covers our educational programs for choral directors, choral singers and young choral composers, and has been active since 2009 in several countries. Our second project is The International Symposium ARS CHORALIS on Chorusology¹, Singing and Voice in Zagreb, which we have been organizing since 2010. Both of these projects will be introduced in detail on another occasion. In this article we wish to present our third international project. In Croatia, we sing The World Choral Day regularly. Collective singing all over the world on the same day creates a unique synergy and positive vibrations, something our world desperately needs, especially in these times. Thinking about this brought us to the conclusion that it would do the world a lot of good if all the choirs around the globe would, in addition to the normal repertoire, sing one special, collective song. 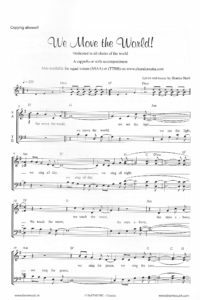 One song which would symbolically unify all the choirs of the world under one ‘musical banner’, a song about all the beautiful and noble things that are represented in choral singing and choral unity. We wanted to make the song speak of hope and happiness, peace and love, friendship and human harmony. All of these attributes have a certain, added strength when joined with music and singing. It could be used to ignite the good in the hearts and souls of people. 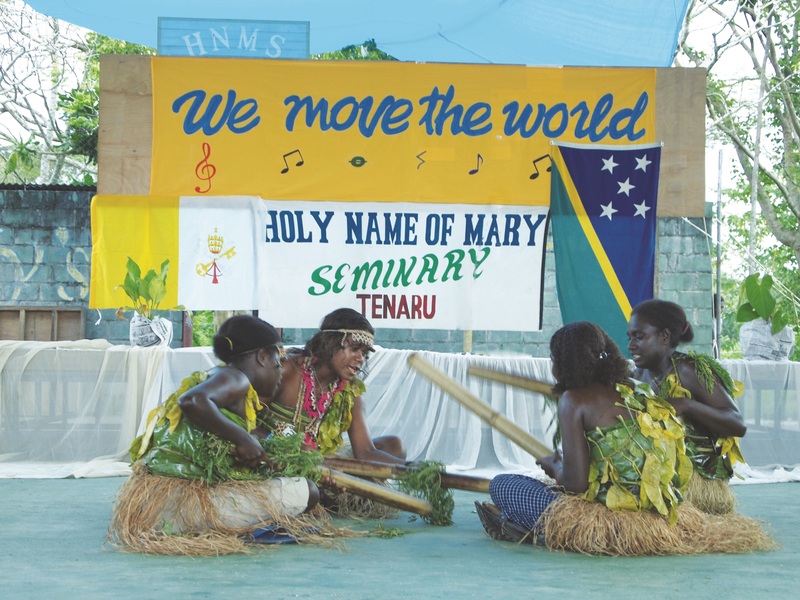 In this spirit I wrote and composed a song called We Move The World. 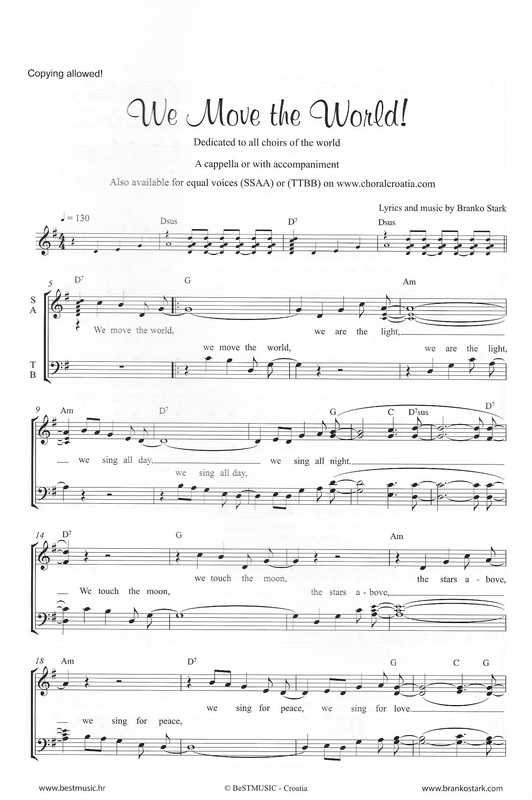 It is dedicated to all the choirs in the world, earning the subtitle World Choral Song. as if we are one. 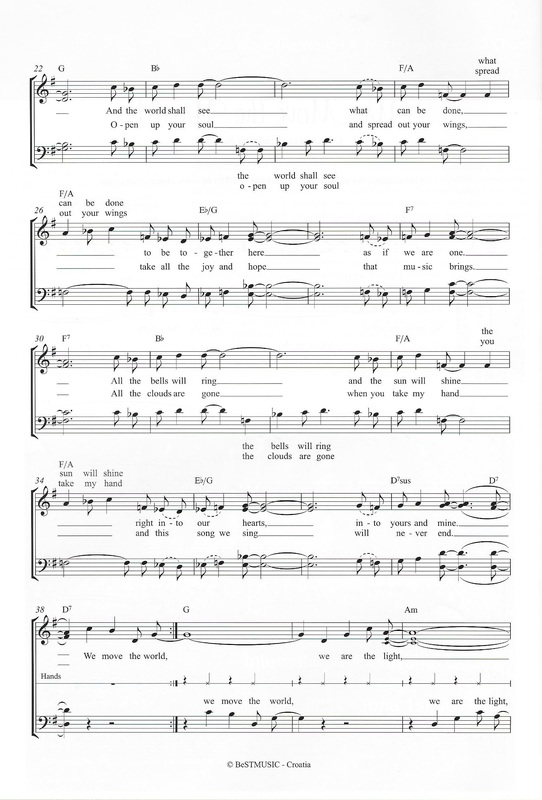 The song was composed as a pop-choral song, so it could be played on any occasion and for any generation. 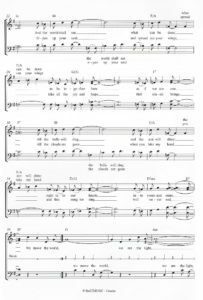 It can be sung a cappella or accompanied by a variety of instruments (keyboard, guitar, orchestra … ). There are two versions of the song. One is for mixed choir SATB, and the other for equal voices SSAA/TTBB. Both scores are compatible and both versions can be sung simultaneously. The song starts with the chorus, so as to be stronger in relaying its message. 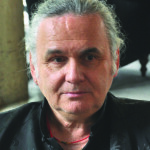 Both scores can be downloaded from the website of The Croatian Choral Directors Association (www.choralcroatia.com). Also available are the audio recordings of the song, in MP3 format. One version is vocal, and the other is the instrumental version. This way, every singer in the world can practice the song with the score and instrumental backing. Using the score is free of charge and can be copied freely. The more, the better! The mixed choir score is printed in this issue of ICB. The score for SSAA or TTBB is available for download from our website. 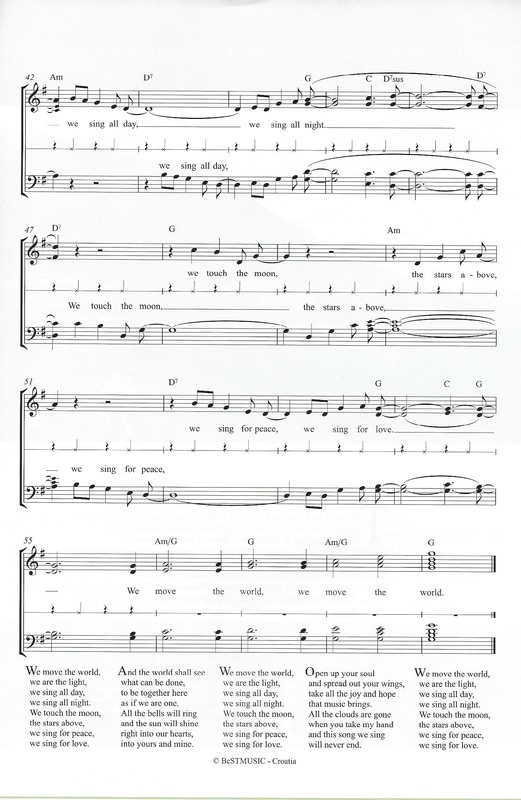 The song was premiered at the ARS CHORALIS symposium in Zagreb in 2010, to great acclaim. After this, it started its journey round the world. 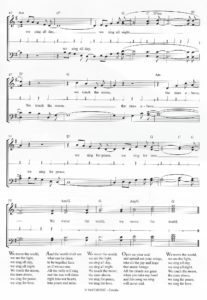 It entered the repertoire of a great number of choirs, and is sung collectively at different choral festivals, competitions and concerts in many countries. In the photographs you can see the premiere in Zagreb, along with the concerts in the Solomon Islands and in Cochin, India. ¹ Chorusology: chorus+logos, the multidisciplinary science of the choral art. This is a neologism created by the Croatian Choral Directors Association. 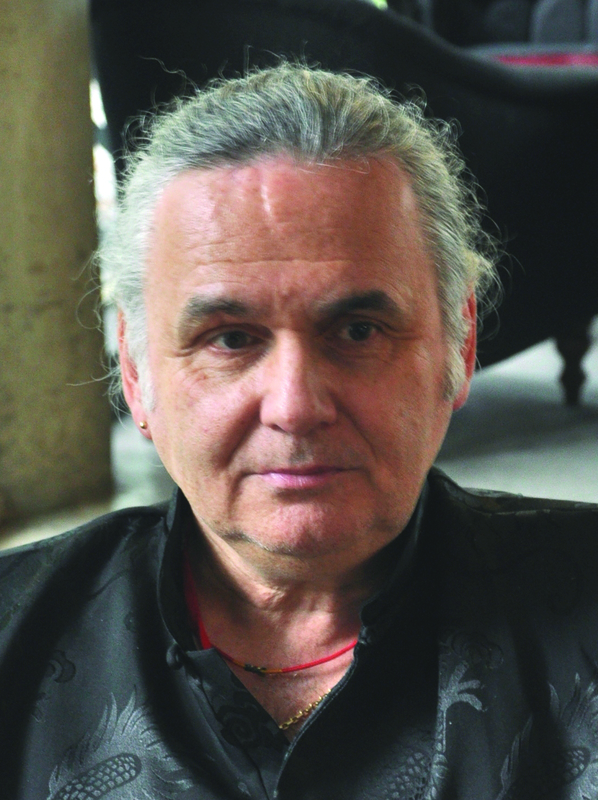 They have also founded the International Choral Institute for Chorusology (the scientific branch of the Association).